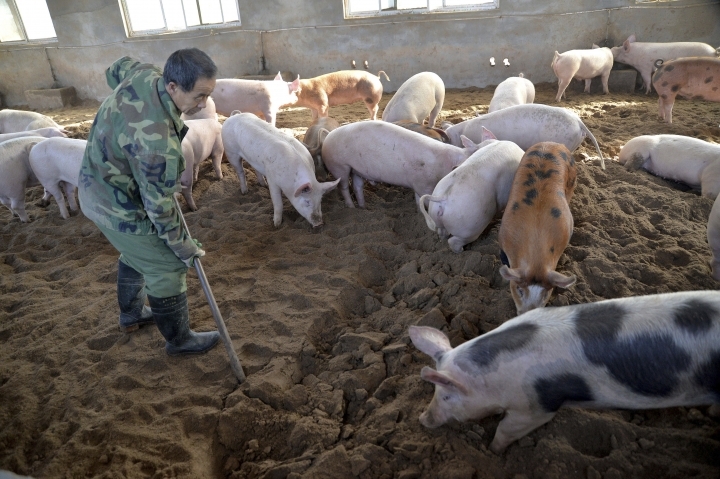 BEIJING — China on Thursday reported another outbreak of African swine fever that threatens the country's crucial pork industry, but officials say they have the situation under control. The latest cases were reported in the eastern city of Wenzhou and resulted in 430 pigs being infected, of which 340 died, the Ministry of Agriculture and Rural Affairs said on its website. That followed cases in at least three other locations this month resulting in the deaths or culling of thousands of pigs. The highly contagious viral disease only affects pigs and wild boar. Ministry teams have been dispatched to establish a quarantine zone, cull infected pigs and disinfect others. It says the outbreak has been "effectively dealt with." China is the world's largest pork producer, breeding as many as 600 million pigs annually. Pork is a staple of the Chinese diet, accounting for more than 60 percent of animal protein consumed, and price fluctuations are closely watched by the government. The outbreaks, the first reported in China, came as the industry is moving from small farms to massive breeding operations similar to those in the U.S. and Europe.